When a loved one is diagnosed with a serious illness, some of us find we run and hide and pretend it’s not happening. Some of us will be frozen with fear, some will want to learn everything possible. And I’m sure there are dozens of other responses. 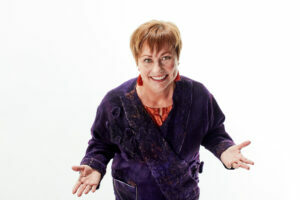 One of the actual actions you can DO as a family caregiver is to educate yourself about these deadly mental illnesses. I know it might seem scary and you’ll hear things that terrify you. AND…it’s all helpful for you and your loved one. Education is one of the topics discussed in my HUG Kits that are being launched on May 9th. Today I’m giving you a sneak peek into this topic to get you started. First, why do we need to educate ourselves about our family member’s illness? 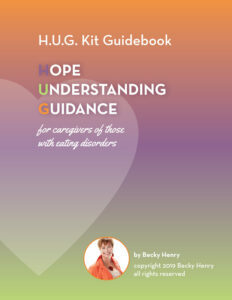 As I state in this chapter of the HUG Kit Guidebook: To learn the essentials of being an effective eating disorders caregiver. “What skills do I need to learn to become a calm, compassionate, confident part of the treatment team?” Yes, family members being a part of the treatment team is finally becoming a thing! 🙂 And the research is showing it makes a huge difference in treatment outcomes long term. Don’t forget – the 1st Wednesday of each month is the Monthly FREE Group Phone Support Call click the link to register.